It's unique to open Google's search engine on Sunday. Google Doodle today (20/5/2018) presents the figure of Abraham Ortelius. For those who do not know, Abraham Ortelius alias Flemish Abraham Ortels is a meritorious figure to find a map of the modern world atlas or also called cartographer. 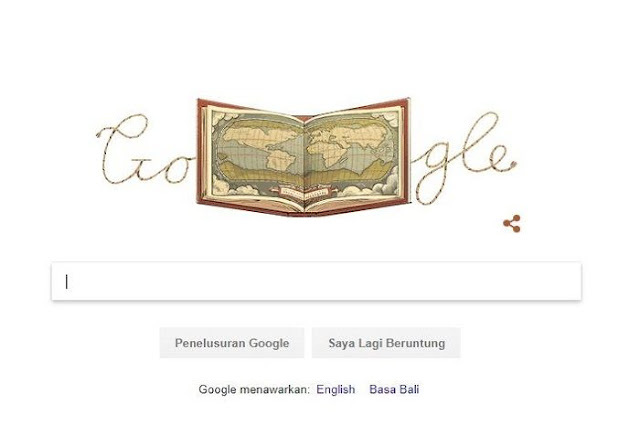 Well, in today's edition of Google Doodle we can see an animated book containing a sheet of world map atlas and an illustrated picture of Abraham Ortelius. Abraham Ortelius was a very influential figure in the field of mapping the world. Thanks to him all the people of today can see the world map clearly and completely. Even the theories and theories that Abraham Ortelius produced are still used by geographers and mapping experts to this day. Abraham Ortelius was born in Belgium on April 14, 1572. He died on July 4, 1598. Originally Abraham Ortelius was not a cartographer. He actually started his career as a classic writer and also had studied as a sculptor. Ortelius Abraham had also spawned a book of literature and was interested in the business of antiquities. But as time went on, Abraham Ortelius became interested in mapping. He then collects maps from around the world. In the 16th century, the world map is still a mixture of facts, speculations, and fantasies. After all the maps were collected, Abraham Ortelius combined all the facts and cultures. Right on this day May 20, 1570, Abraham publishes his first atlas entitled Theatrum Orbis Terrarum or the World Theater. His work contains 70 maps of all countries in the world. Even this atlas is claimed to be the most accurate atlas because Abraham manages to unite all the countries in a book completely. The map in Theatrum Orbis Terrarum is updated annually. Within the atlas everyone can see the continents and seas from all over the world that have only existed in the shadow. Abraham also added pictures of sea monsters in the waters and other mythical creatures from all over the world. 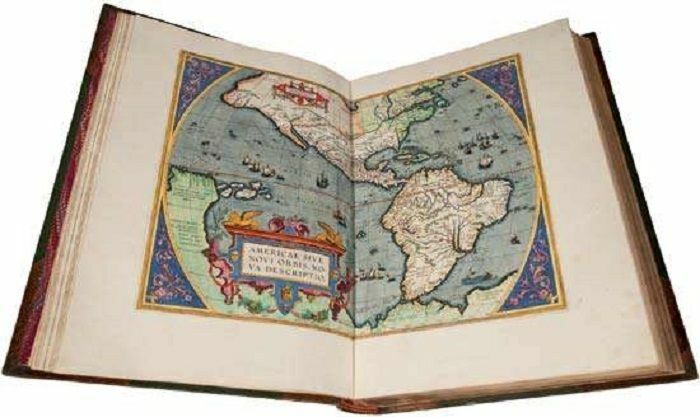 In the last edition published in 1622, this atlas has 167 maps. Thanks to his services, Abraham Ortelius was appointed geographer by Philip II of Spain. As the first person to successfully map the world in a complete book, it is no wonder the services of Abraham Ortelius were appreciated by many, including Google Doodle on Sunday. 0 Response to "Abraham Ortelius, Creator of the First Modern Atlas Appears in Google Doodle Sunday May 20, 2018"